Fr. Benny James Karinattu SDB is the Province Secretary of the Province of St. Francis de Sales at Don Bosco Provincial House, Dimapur, Nagaland and pursuing his research in Cultural Studies in the University of Science and Technology, Meghalaya. Since completion of his masters he was actively engaged in teaching various disciplines to the students of all categories. 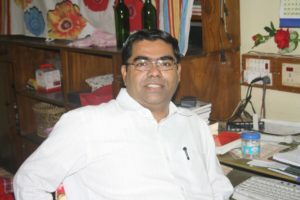 After his ordination in 2003 he was sent to Don Bosco College, Maram, Manipur as the head of the department of English and the director of Bosco Institute of Information Technology (BIIT) for a period of three years. In 2005 he was transferred to Don Bosco High School, Baghchung, Jorhat as its eighth headmaster. He received the best teacher award in Assam in 2007. His innovative and persevering effort in teaching and following up of the students and teachers received thus a recognition. He became the principal of Don Bosco College, Maram, in 2009. During his tenure as the Principal, the college was declared the best NSS college in the country and received recognition from the President of the country. To pursue to his doctoral studies he was shifted to Ravalico College, Hostel, Chingmeirong, Imphal as its superintendent. He has a great interest in the primary and major issues concerned to the LEGH Movement. He is one of the Coordinators of FSLE-India for its Nagaland Region.